In 2011, Kiehl’s entered the brightening category when it introduced Clearly Corrective Dark Spot Solution, a fast-acting, exceptionally effective formula developed to promote youthful clarity while addressing the appearance of dark spots. To date, this formula is one of the most trusted serums for skin clarity, winning over 20 beauty awards and selling over 5.4 million bottles worldwide. In 2016, Kiehl’s identified rough texture as another key cause of loss of clarity and developed Clearly Corrective Brightening and Smoothing Moisture Treatment, an ultra-light, innovative hydrator featuring dermatologist-trusted Glycolic Acid in concert with the company’s signature skin clarity ingredient, Activated C, to efficiently improve skin clarity and texture. 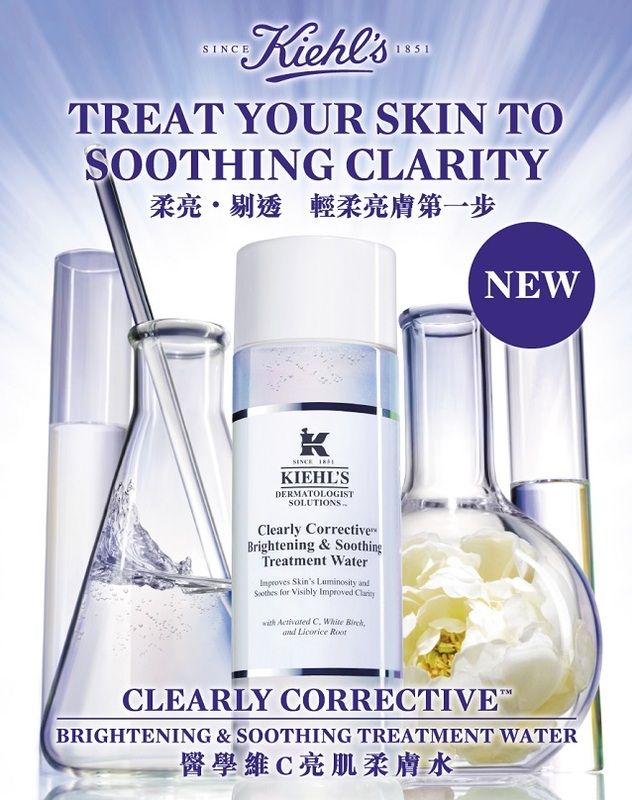 Today, Kiehl’s brings new effective approaches in boosting skin clarity: soothing with Clearly Corrective Brightening & Soothing Treatment Water, and cleansing pollution with Clearly Corrective Brightening & Exfoliating Daily Cleanser, to offer a highly efficient regimen targeting the multiple factors that can cause skin to lose clarity. Uniquely formulated with Licorice Root Extract, White Birch Extract, and Activated C, Kiehl’s Clearly Corrective Brightening & Soothing Treatment Water instantly refreshes skin, hydrates and visibly brightens to diminish dullness and improve skin’s natural clarity overtime. Kiehl’s chemists carefully balanced the formula to deliver the necessary concentration of humectant ingredients without the heaviness or stickiness that can sometimes result, which allowed for a fast-absorbing lightweight and watery texture.